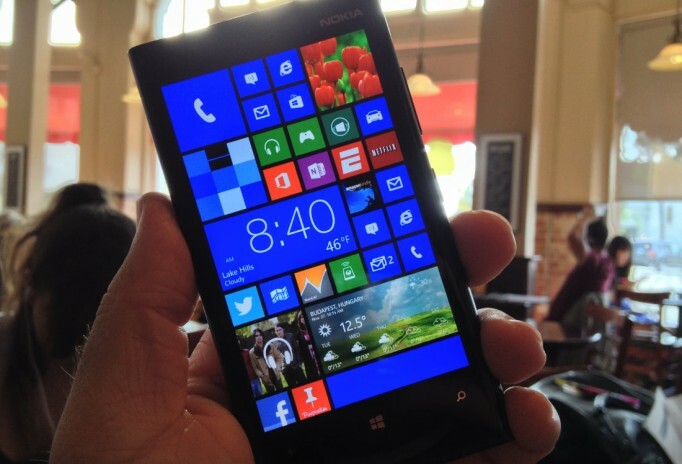 Nokia Lumia 920, 1020: in praise of an underappreciated Windows Phone. 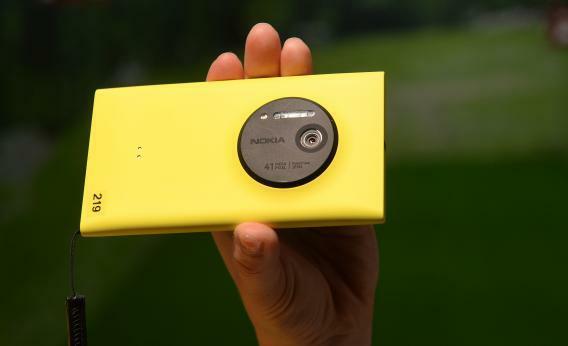 A employee demonstrates the photo capabilities of the Nokia Lumia 1020, a Windows Phone with a 41-megapixel camera, after its unveiling in New York City on July 11. The $7 billion news that Microsoft is buying Nokia’s smartphones division is, as Bloomberg Businessweek’s Ashlee Vance put it, “a doubling-down on what has been a miserable phone and device union.” It’s also a union without many guests at the wedding: The Windows Phone platform has a mere 3.7 percent share of the global smartphone operating-system market, and Nokia is no longer among the top five in smartphone sales. When even a relatively bullish take on the deal gives it a tiny chance of success, it’s worth taking a moment to consider the biggest victim of Microsoft and Nokia’s stumbles in the smartphone marketplace: the beautiful, blameless, underappreciated Lumia. It did everything right, save for choosing the correct set of corporate parents. The Lumia—I’m thinking specifically of the 920 and the 1020—will be always the bridesmaid and never the bride, the too-tightly-corseted lady-in-waiting to the Galaxy and the iPhone, lovely and capable and cast in the shadows. The Lumia is a gorgeous design object, an efficient practical device, a delight simply to hold in your hand. All of these superlatives will sound familiar to tech bloggers, who have regularly sung the Lumia’s praises. But they won’t be familiar to all the people I’ve never seen in the subway, the coffee shop, the airport lounge, the house party, or any other public or private location actually using, enjoying, and passionately recommending their achingly perfect Lumia, with its big crisp screen and its fat-finger-friendly buttons and its Jony Ive–worthy tile design and its ridiculously awesome camera and the way it purrs and trills in your hand like a satisfied kitten when you get an email. The received wisdom on the Lumia’s failure in the marketplace centers on Microsoft’s dearth of apps relative to its competitors. The Windows Phone Store has on the order of 150,000 apps, while the Apple App Store and Google Play Store have closer to 1 million. But 150,000 is still rather a lot of apps. And if you use your phone mainly to make calls, take pictures, consult maps, send and receive email, and check social media—if, in other words, you use your smartphone exactly the same way I use my smartphone—the Lumia serves all these purposes impeccably. It doesn’t seem as though marketing is to blame, either. A recent ad, set at a children’s pageant, ably skewers aggressive iPhone and iPad shutterbugs whilst establishing Lumia users as chill parents you want to hang out with. Yet for all its virtues, the Lumia has remained a niche product on a niche platform. The relative lack of apps—caused by a lack of developers creating apps, which in turn is caused by a lack of users, and the circle spins round and round—is merely symptomatic of the straightforward network effects that have held back the Lumia and Windows Phone, the same network effects that made Windows such a desktop behemoth; consumers and developers stick with a known quantity rather than taking a risk on a tarnished brand. * Case in point: me. Like most people, I am a sheep and I stay with my flock. Therefore I love the Lumia, but I own an iPhone.